Naturally sweetened, this brightly colored Cranberry Curd is wonderfully tart and packed with flavor from orange, honey, and pink peppercorn. 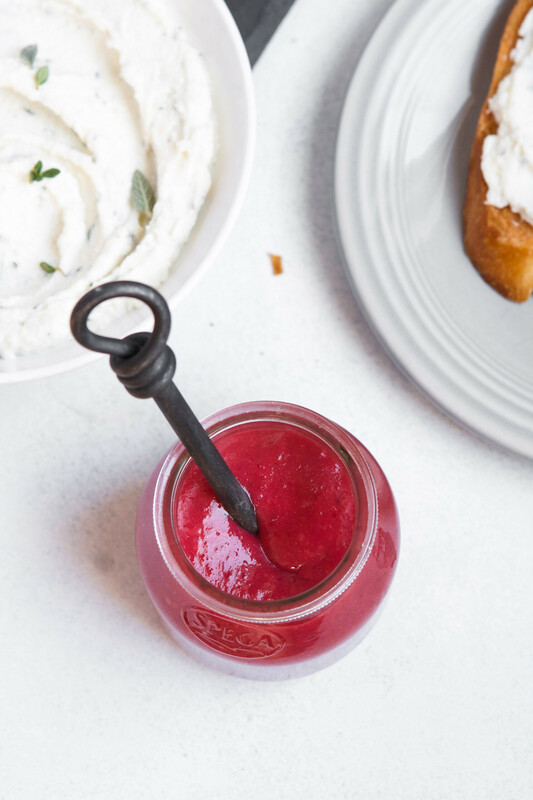 The first of a three-part series here on Zestful Kitchen, this festive Cranberry Curd will make two more appearances in a couple of incredibly delicious and timely recipes. The vibrant hue of this Cranberry Curd offers insight into how incredibly flavorful it is. The balance of flavors makes it ideal for both sweet and savory applications—perfect for this time of year filled with an abundance of decadent treats and one-bite appetizers. Aside from the appetizer and dessert recipes to come, this curd can be used in any application that you would normally use lemon curd. Pack some curd in a small, resealable jar and give it to friends and family along with a bakery baguette or simple shortbread cookies. Cook cranberries, orange juice, water, zest, and peppercorns in a saucepan over medium-high heat, stirring occasionally until cranberries burst, about 15 minutes. Transfer cranberry mixture to a food processor and purée. Strain cranberry mixture through a fine-mesh sieve back into saucepan with honey, butter, and salt; discard solids. Cook mixture over medium heat until butter is melted, about 5 minutes. Whisk together egg yolks and egg in a large bowl. Gradually whisk cranberry mixture into egg mixture, transfer back to saucepan over low heat and cook, whisking constantly, until mixture is thickened and coats back of spoon, about 8 minutes. Off heat, stir in liqueur then strain through a fine mesh sieve into a bowl. Press a piece of plastic wrap on surface of curd and refrigerate until completely chilled. Cranberry curd will last 1 week store in an airtight container in the refrigerator or up to 3 months in freezer. Looking for more cranberry ideas? Check out some others from the #yesyoucranberry collaboration! I just made the cranberry curd for the ricotta appetizer for our New Year’s Eve party. It is delicious and I am so glad I doubled it. What super way to use cranberries! Thank you for the recipe. 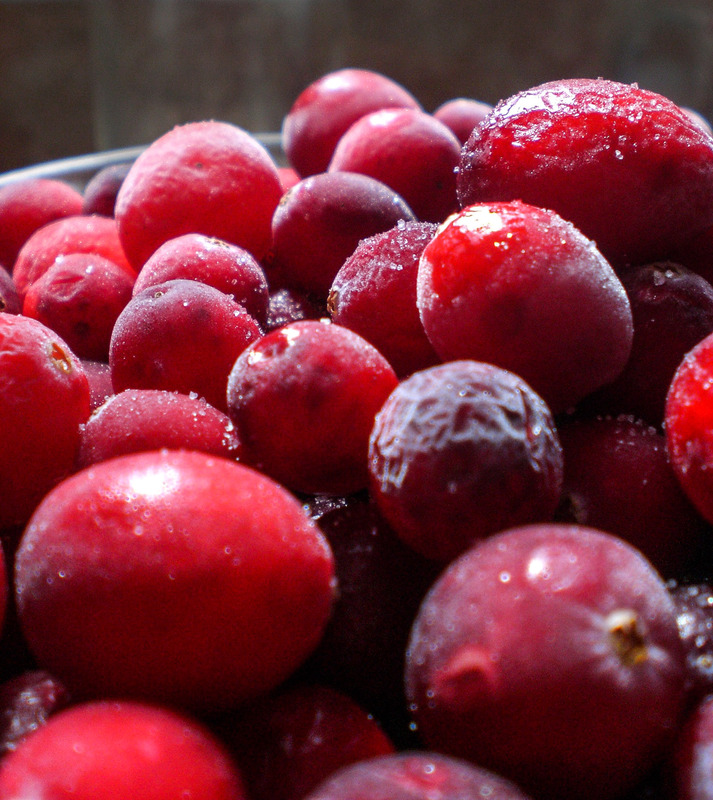 I can’t wait to make cranberry curd this weekend! It sounds delicious! If I am making this for a tart, should I double it? I would probably double it! I will test this again soon and get a yield of how much this makes—this is a great question! Hi Gabby, I tested it again and it makes 2 1/4 cups which I think would be enough for a tart! Thanks so much! Can’t wait to try it.